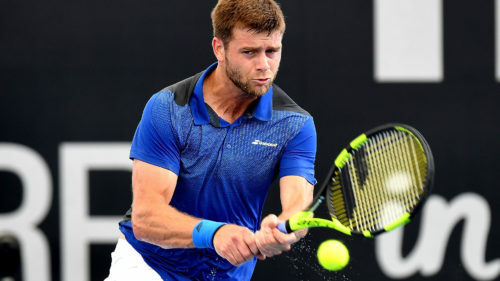 Tempers flared at the ATP 250 New York Open on Monday as Ryan Harrison and Donald Young exchanged words during an all-American first-round fixture on Stadium Court. As can be seen in the video below, the two players exchanged words during a changeover after the seventh game of the first set; the reason for which was not clear. Subsequently, the duo came almost face to face, forcing the chair umpire to get down and intervene. That was not it. The real controversy followed Harrison’s 6-3 7-6 (4) victory. Young took to his official Twitter account to claim that he was racially abused by Harrison on court. “I’m shocked and disappointed, Ryan Harrison, to hear you tell me how you really feel about me as a black tennis player in the middle of our NY match. I thought this was supposed to be an inclusive gentleman’s sport,” tweeted Young. However, Harrison was quick to shrug off the accusations. Harrison will look to keep the off-court controversy aside when he takes on Croatia’s Ivo Karlovic for a place in the quarter-finals on Wednesday.